Interactive weather forecast for today – projection made Tuesday 8th Jan 2013. And last Monday we set a new national average maximum of 40.33 °C. While it was hot, we must remember that it has been hot before. The previous record was from 1972, just 0.16°C cooler. 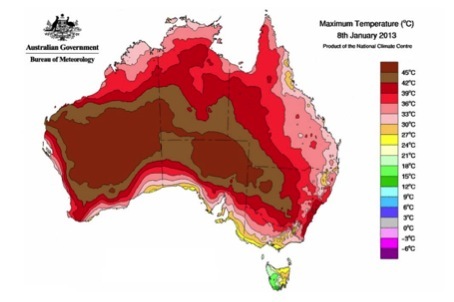 We have, for a long time, been a land of heatwaves and extremes. Now, this trend is getting stronger. And we are. 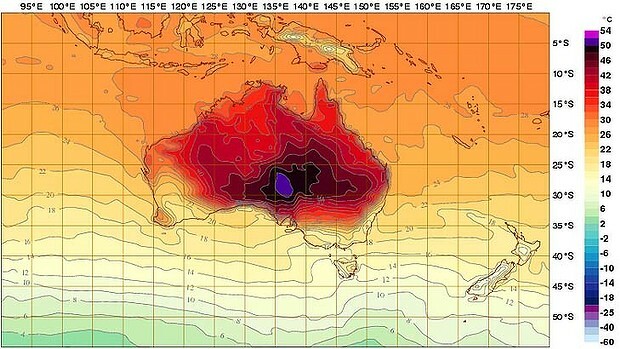 We have never measured such a long, widespread, and severe heat wave in Australia as we have in the last week. 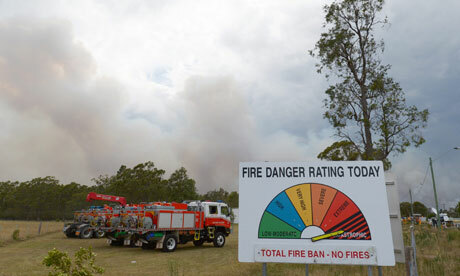 The bushfires that are blazing around the country (and the lives affected) and the changes we are observing in rainfalls, stream flows — even flowering times — are a reminder that the global changes that surround us change the way we have to think and act, both in what we are doing to mitigate climate change, and in how we adapt ourselves and the ecosystems with which we share our land to the changes that are already under way. For we are not the same, and nature is dynamic. Click here for a neat report from the Climate Commission which present some further details. This entry was posted in blog and tagged bureau of meteorology, climate, extreme weather events, science. Bookmark the permalink.